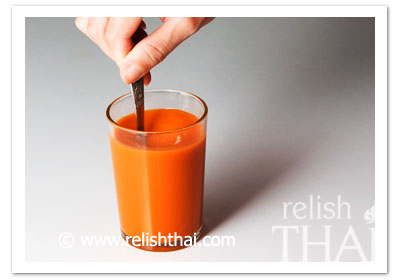 19 Responses for "Two Thai Iced Milk Tea Recipes"
lemon iced tea is my favorite. Thai restaurant, I luvvv it!! Thank you June for your comment. 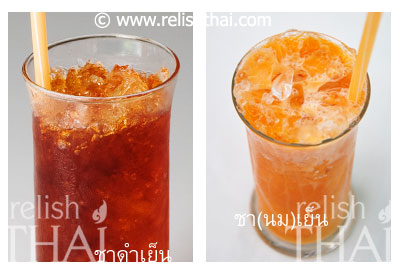 We have planned to publish an article about hot tea and lime iced tea either! The tamarind tea sounds interesting. When we have more infomation about that, we will share to our blog soon. Thanks again! Enjoy your tea! Thank-you for publishing this recipe! I scaled up Recipe #1 above in order to make it one gallon at a time. 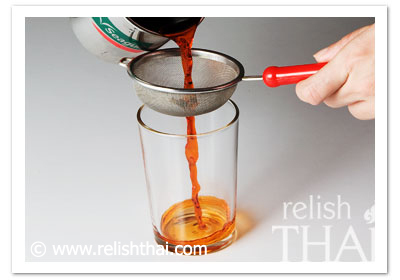 Most Thai tea recipes say to only steep 3 or 5 minutes. The lady at the restaurant told be they “boil” for 30 minutes. Your recipe was the only one online that confirmed a very long steep time. I made mine using the Pantai brand of tea and the following gave me nearly perfect results. However no matter what I do, I cannot get the cream or milk from sinking straight to the bottom. I’ve tried regular milk, evaporated milk, and half & half. I’ve tried crushed ice and regular cubes. A the restaurant, they use half & half and the two layers stayed separate even after a 30 minute car ride. What is the secret? I also removed mine from the heat and allowed to steep for 25 minutes covered. What would happen if I left it steep longer? Also, what if I actually boiled it like the Thai lady from the restaurant said to do? Would it hurt to add the sugar to the water before boiling? I know the temperature of the water would increase with all that sugar in solution. Thanks again for the authentic information for the perfect recipe! It’s too bad so many other people online are passing around so much bad information. Thank you very much, John for wonderful comments. We really appreciate your visit and comments. We are happy to hear that you have a great recipe for big volumn tea! 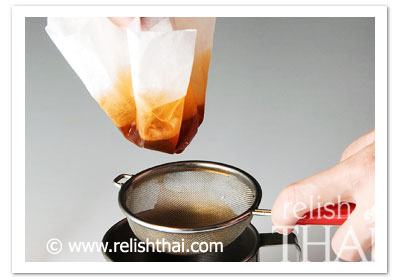 Many Thai restaurants in foreign countries, they usually make thai iced tea by using 1 tea bag or more. It depends how much tea they want to make. 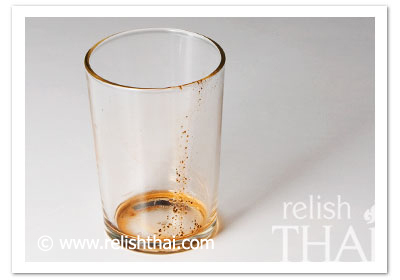 Some restaurants in the United States use “Pantai Norasing” brand but some use “Cha Thai” brand. 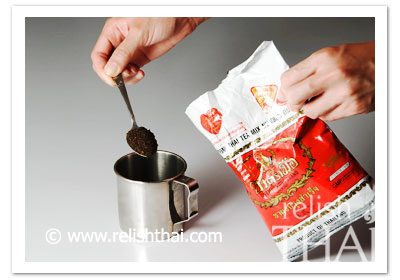 The difference of these brand is the “Cha Thai” brand is a bit stronger than “Pantai Norasing”. Personally, if I have to choose between these brands, I would prefer the stronger one. Talking about the brand that I use “Number One Brand” (Traa Muaa “ตรามือ”), some said the smell of the tea is better and some bakery chefs said the color is better. However, we think that it depends on preference. If you are satified with your tea, there is nothing to worry about it. About the sinking milk, I’m not sure if you have tried to cool the tea in the fridge before using? I’ve seen some clip on Youtube trying to keep milk on the top by pouring it through a spoon over the ice first and let the milk gradually flow down. I think the trick might be just pouring milk slowly. Please try this first. I hope this will work. About adding sugar, I’ve seen some people on the Internet do not recommend to add sugar before boiling. In our opinion, we think that it’s better to make the tea first and adding sugar as much as you prefer later. However, if you find your way and it works, it should not be any problem. I am in the United States. What do you think of the Pantai brand? 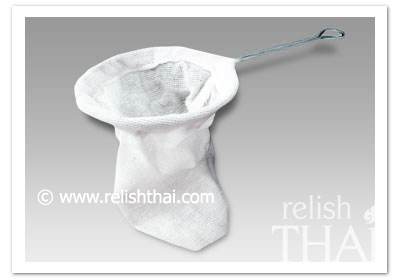 Is this the one most commonly used in Thai restaurants here? Is there a different brand I should try and get? Thank-you. I solved my “milk problem”… I just wasn’t pouring it slow enough. I also accidently discovered that when I use an empty glass from the freezer, the dairy is much more likely to stay on top with less effort. I also discovered something new & delicious. I mixed Thai Iced Tea (no dairy, just Tea) with Minute Maid Cherry Limeade. The mixture is 50/50 and wow all the flavors seem to balance out just perfectly. The tartness of the Limeade is dampened by the Tea and the bitterness of the Tea is eliminated by the Limeade. Very good recipe, i’m looking forward to try this at home ! However, I tasted the “Number One Brand” and like it very much, alas, i’m not able to find any (I live in France, EU). Does anybody knows where I can order some (online for instance) ? Thank you very much for your visit. Actually, sometimes we do sell the tea on ebay.com. We’ve seen there are some seller selling the tea on ebay.com either. If you’d like to buy it, we’re going to sell it again on ebay.com on this weekend in the bidding style. Previously on ebay.com, we shipped the tea to the United States and Australia. When we post the tea on ebay.com, we will let you know again. However, we can sell it directly to you with the Paypal payment. 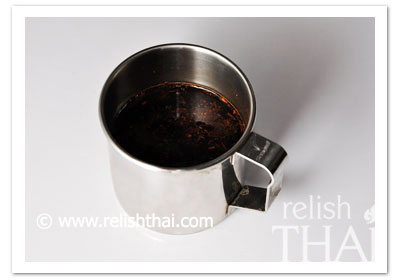 Or you can go to ebay.com and search for the tea by “thai tea” keyword. We just relisted the tea on ebay.com. There are also other sellers selling the “Number One Brand” tea on ebay.com. I see you sell it on ebay… 99 cents plus $6.99 shipping for 6.7 ounces. How much for 5 pounds with shipping? Thank you for your interest. The 5 pounds, I think it could be 12 packs of the tea. Normally, via ebay.com We ship the tea by air mail with no insurance. How are you? We’re not sure if you still would like us to email you again the price of tea. We emailed you last time. If you still would like to get the updated price, please let us know here or by relishthai@hotmail.com. Did the tea with condensed milk and have put canned mik, regular milk and soy milk loved it. I’m gonna try the recipe more exact nad add the sugar nexxt time. 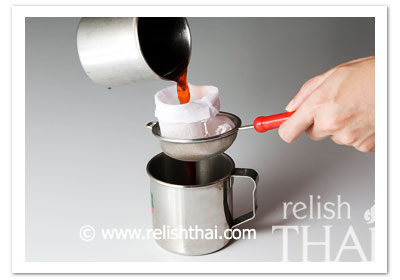 I would like to say to relishThai, thanks for sharing and thank you John for sharing yours by bulk, because I’m selling Thai tea by the gallons for a food fair at school. 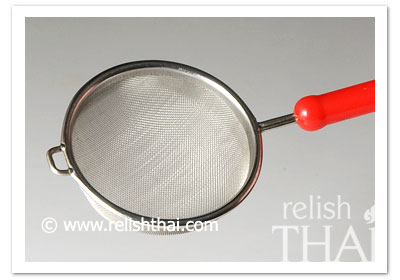 I have a question, is it possible to make your own cloth strainer, because I usually use the steel one but it’s like you said it still leave its and bits of the tea leaves leftover. Sorry for the very late reply. I’m very busy with my further study. If you’d like to get a quick comment or answer, please visit our page on Facebook. I think it’s absolutely possible to make your own tea cloth filter. 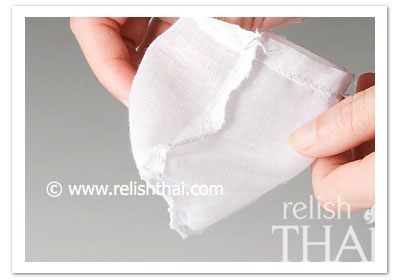 If you have the fine white cloth, you can do it yourself. In Thailand, we call the cloth as “Phaa Khaaw Baang”. If your city have any Asian stores, you might be able to find one there. Or you can search online and you will find one. Great to hear that you make the tea for the school fair. Hope everybody enjoy the tea!